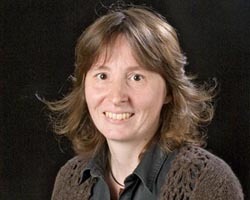 Together with Professor Serena Best, I direct the Cambridge Centre for Medical Materials. My research focuses on materials which interact therapeutically with the body. The availability of tailored three dimensional environments for control of cell behaviour is a key step in the regeneration of healthy tissue in the body and can also enable model tissue creation for drug screening and cancer research. We are using ice templating techniques to create materials that mimic the complex orientational and spatial anisotropy of natural tissue, and that impart defined biochemical and mechanical cues. This is enabling us to develop bespoke cellular environments for clinical contexts including cardiac, dental and orthopaedic repair, cancer research and diagnosis, and blood cell production. Resorbable polymers and composites may be used in temporary load-bearing applications such as sutures and pins, in scaffolds for tissue engineering and in drug-delivery devices. We are exploring the intricate temporal and spatial relationships between the processing and morphology of the material, the diffusion rates of water, drug and degradation products, the degradation rate of the polymer and ultimate properties. An understanding of these factors allows informed device design. Our study of composites ranges from the micro co-continuous to the nano-scale, for orthoapedic and other tissue repair.